Down’s Syndrome Isle of Man is a parent’s run group established over 30 years ago to provide support to families and people with Down’s Syndrome. Down’s Syndrome is a set of mental and physical symptoms that result from having an extra copy of Chromosome 21. Normally, a fertilized egg has 23 pairs of chromosomes. In most people with Down’s Syndrome, there is an extra copy of Chromosome 21 (also called trisomy 21 because there are three copies of this chromosome instead of two), which changes the body’s and brain’s normal development. Down’s Syndrome is not a condition that can be cured. However, early intervention can help many people with Down’s Syndrome live productive lives well into adulthood. Children with Down’s Syndrome can often benefit from speech therapy, occupational therapy, and exercises for gross and attention at school. Many children can integrate well into regular classes at school. People with Down’s Syndrome are first and foremost human beings who have recognizable physical characteristics and limited intellectual endowments. 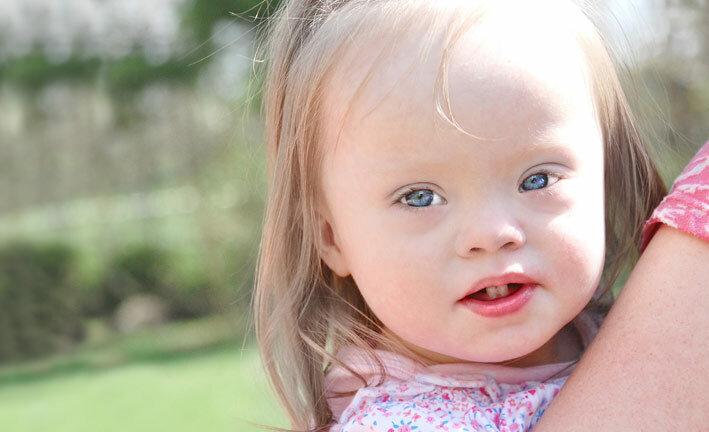 It is important that society develop attitudes that will permit people with Down’s Syndrome to participate in community life and to be accepted. Health Conditions: There are a variety of other health conditions that are often seen in people who have Down’s Syndrome, these can include congenital heart disease, hearing problems, intestinal problems, Celiac disease, eye problems, Thyroid dysfunctions, skeletal problems and dementia similar to Alzheimer’s. The society has an extensive resource of literature in relation to Down’s Syndrome which is located at the Isle of Man College. We continually strive to increase this base in line with new research and publications. We hold regular meetings offering support to parents/carers. Annual social events/outings provide an opportunity for everyone with Down’s Syndrome and their families to get together in a relaxed and informal environment. We are a founder member of Centre 21 having representation on their Board and also representation on the Learning Disability Consultative Group. We bring over specialists from the UK and offer courses for families and professionals on the Island to ensure schools and relevant health professionals are aware of the continued research and developments in relation to Down’s Syndrome. People with Down’s Syndrome are extremely conscientious and hard working. Our members have all worked in the past for companies on the Island however, in light of the current economic climate these jobs have been lost. We are now working hard to enable our members to return to the workplace. If you feel you could help us by offering employment, preferably paid, please contact us.